Isabel is licensed both in Florida and Paris France. Her philosophy goes far beyond simply facilitating real estate transactions. She views herself as partner in her clients’ real estate investment decisions. As such she recognizes the challenges and opportunities that her clients face in the international real estate investment arena. She is committed to applying her insight, experience passion and resources to help her clients make informed and successful real estate decisions. Her clients are international investors with a great eye for the perfect deal. They love to travel and are open to the investment opportunities around the globe. Whether in Miami or Paris, Isabel has helped them capitalize on the strong investment opportunities in the residential, commercial and pre-construction sectors since 2004. Isabel believes that growth comes not only from revenues but rather from offering a better client service each day. From personally travelling with her clients to a proposed investment site to educating clients on the site's local culture and idiosyncrasies. Her mission is to reassure her clients in every step of the way that buying or selling a property internationally need not to be a daunting task - far from it, in fact it can be an enjoyable personalized experience with enormous rewards. 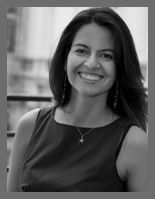 Isabel earned a bachelor in business administration in international marketing and finance at the University of Miami. She speaks fluently English, Spanish, Italian and French. Before 2004 Isabel held prior posts at Valentino in NY and Foote Cone and Belding advertising agency where she was account manager for Compaq Computers and Ogilvy and Mather in Miami where she has account manager for American express. Isabel loves to travel, photography and art.